A Griffon Vulture nest belonging to the once close to extinction Birds of Prey has been found in Paphos. A nest belong to endangered griffon vultures has been found in the Ai Yiannis area of Paphos for the first time in decades. 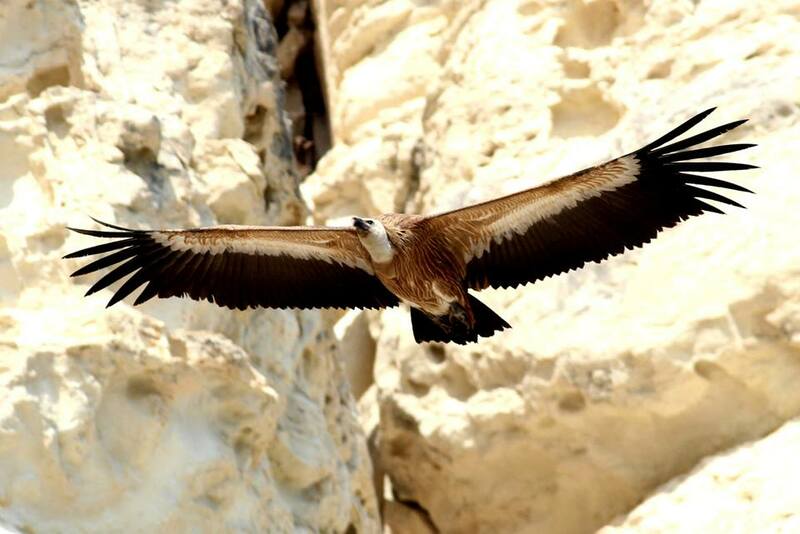 The griffon vulture is the largest bird of prey in Cyprus and also the most threatened. The population is at a worryingly low level and breeding pairs scarce. In early June, three active vulture nests were found, one near the vulture feeding station in Pafos district in an area where a significant colony of the species used to exist in the past. The nest belongs to birds which were brought from Crete through the “Gypas” project. The other two nests were located at Episkopi Cliffs, which is where the largest colony of the species is found in what is the most stable breeding site of the species in recent years. The discovery of the nest – which have not been seen in the area for decades – has been welcomed by conservationists who have been in an uphill struggle to ensure the survival of the vultures on the island. While a healthy number for the species is estimated at around 200 individuals for Cyprus, in 2011 the population reached a critical level when only between six and eight birds were recorded. 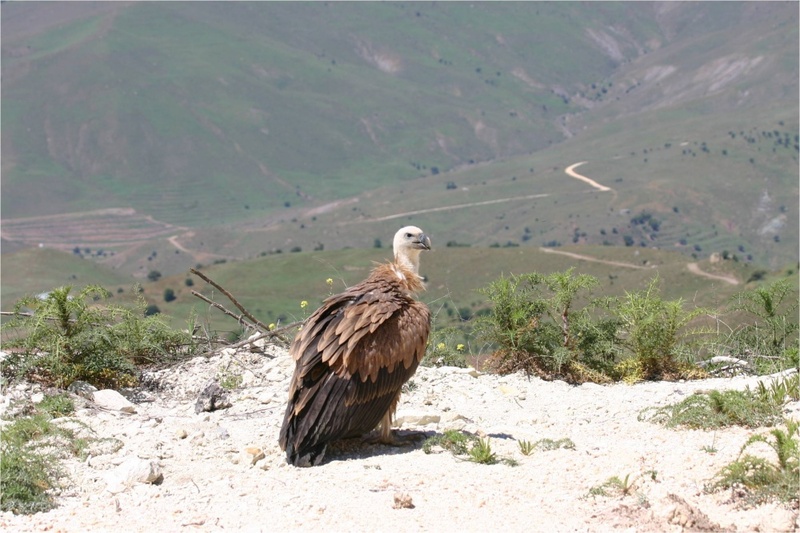 At this critical stage, the Griffon Vulture population was strengthened with 25 birds from Crete, brought to Cyprus through the “Gypas” project. Since then, BirdLife Cyprus, the Game and Fauna Service and the Department of Forests (the three Cypriot project partners) have been closely monitoring the population through a vulture census done twice a year. Unfortunately, between autumn 2015 and winter 2016, seven vultures were found dead due to poisoning, and 2016 was a year when no nesting was recorded. The existence of three active nests this year is therefore very promising and signals a legacy of hope from the “Gypas” project. 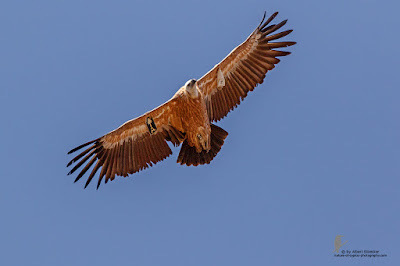 Griffon Vultures nest in colonies on steep cliffs along coasts or on inland mountains and prefer open habitats over which they soar and glide seeking food (animal corpses). Although the species was once relatively common in Cyprus and the population was once at a healthy level, in the last few decades the population decreased to such a low level that extinction was imminent. The main reason for this decline was and still is poisoning through the illegal use of poisoned baits used for foxes and stray dogs. This, coupled with reduction of available food due to the reduction of traditional free-range grazing and disturbance during the nesting period, dealt a severe blow to the species. Although significant efforts have been made to help the Cyprus Vulture population, these have not got us to the point where the species can be considered safe. As long as poisoned bait use continues, the species will be at risk. With the species reaching reproductive maturity at three to four years and laying only one egg each time, it will take several years for the Cyprus population to recover. For this reason, all necessary measures must be taken to protect the species, with particular emphasis on combating the illegal use of poisons in the Cypriot countryside, which is one of the main threats currently faced by vultures and other big birds of prey on our island. In 2011, BirdLife Cyprus began a programme of regular monitoring of the small population of wild Griffon Vultures Gyps fulvusthat remains in Cyprus. This species was formerly quite common in the country, nesting at inland and sea cliff sites throughout the island, but in recent years the population was decimated, principally by the deliberate use of poisoned baits and the intensification of farming and subsequent lack of food, so that by 2012 only 10 vultures remained in the wild, with nesting taking place only on the sea cliffs at Zapalo on the south coast.